Team : Dino Barbarese, Patrick de Barros, Céline Gaulin, David Griffin, Laurence Kerr, Jean-louis Léger, Pascal Lessard, Julie Marchand, Yvan Marion, Nadia Meratla, Marc Pape, Louis-Guillaume Paquet, Marianne Potvin, Steve Proulx, Mario Saia, Annie-Claude Sauvé, Maxime Simard, Yvon Théoret, Vladimir Topouzanov, Sam Yip The new “Science Heart” of the campus of the site has been revitalized with the renovation of an amphitheatre and existing structure of the beaux-arts technical institute that has occupied the site since 1917. 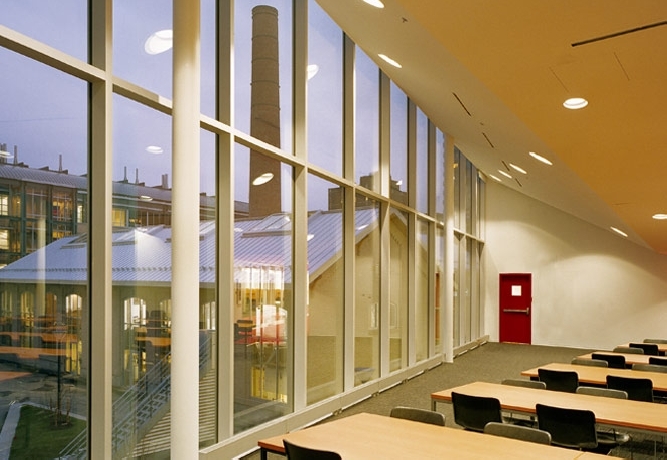 A new Sciences library re-programs a disused studio building, with its new glass addition as a transparent beacon symbolizing the vibrant collage of new and old. 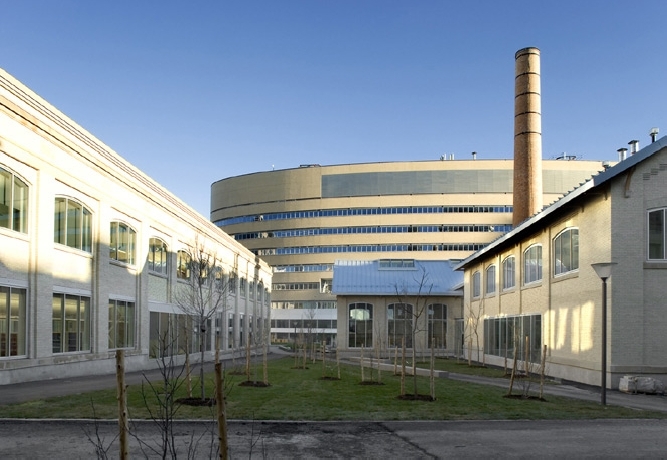 The campus receives a new heart with the renovation (still in progress) of an existing foundry and power plant. This powerful space is pared back to the simplicity of early-20th-century steel trusses and dramatic open volumes, serving as a new centre for discussions and public forums on the subject of Science and Society. 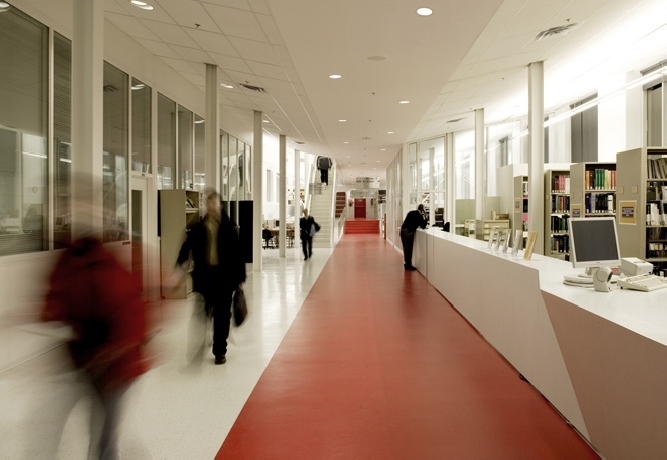 Their prestigious location highlights their importance within a learning institution. The foundry’s chimney become the campus’ focal point. 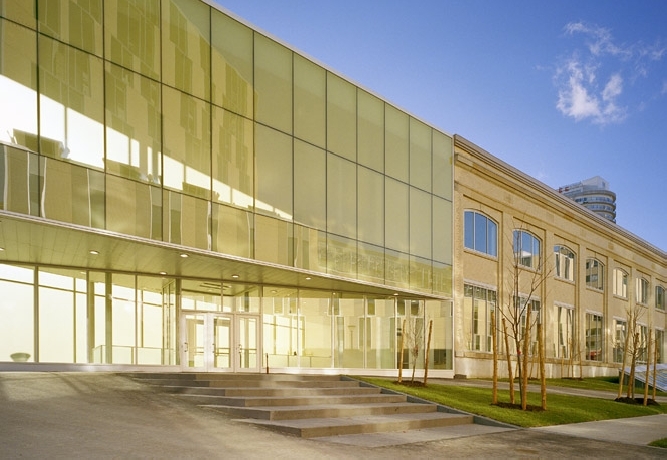 The library re-occupies a historic building formerly used as a studio by the technical university that occupied the western section of the campus. Its transformation involved paring back the structure to its 1911 bones, and the addition of a glass extension containing the entrance and a lofty, light-filled reading room above. 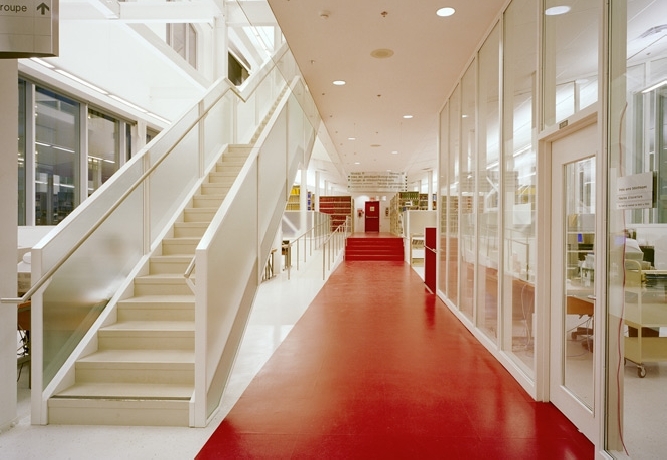 A red carpet painted on the floor guides users through the principle circulation route, leading up to the reading room on the second floor, and down to the expansive underground space dedicated to book storage located beneath Kimberley the street and lit from skylights above. The renovation of the foundry/power plant will provide an open agora for public events and discussions. This sector is primarily dedicated to the exchange and promotion of scientific knowledge. Located centrally on the campus, this core condensed with an industrial heritage is celebrated by a translation into the contemporary scientific domain. 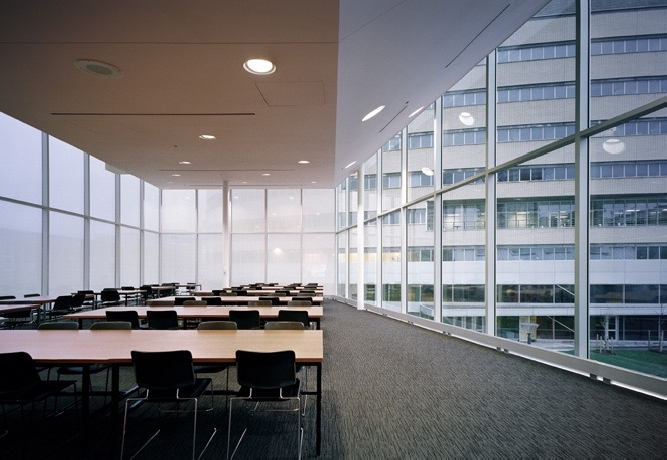 Program elements of this area include a café/bar, conference centre, reception/exhibition area, and multimedia exhibition area.